Feature: Waterproof , Blackout , U.V. We manufacture premium quality laminated rolls up to 60" width. Our HDPE Tarpaulin Laminated Rolls from excellent raw materials which are characterized by durability and strength. The laminated rolls are widely used by the industry for making packaging solutions. 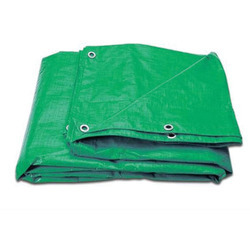 We manufacture Tarpaulin rolls and sizes with good virgin quality. We are offering HDPE Plastic Sheet Tarpaulin which is manufactured from heavy duty plastic sheet reinforced hence thus, providing strength. We can provide this flexible HDPE Tarpaulin in eye catching colors and different Size and thickness as per customers requirement. 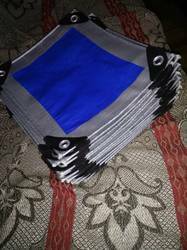 - Use: To cover the products from dust, sunlight, wind, rain etc.